Hello guys! I'm here today to post my first tutorial, which I'm hoping you guys will love. It's super quick and easy for nail lovers no matter your experience. I actually think I'll be doing a series of tutorials for quick and easy nail designs that really just look great for any occasion. 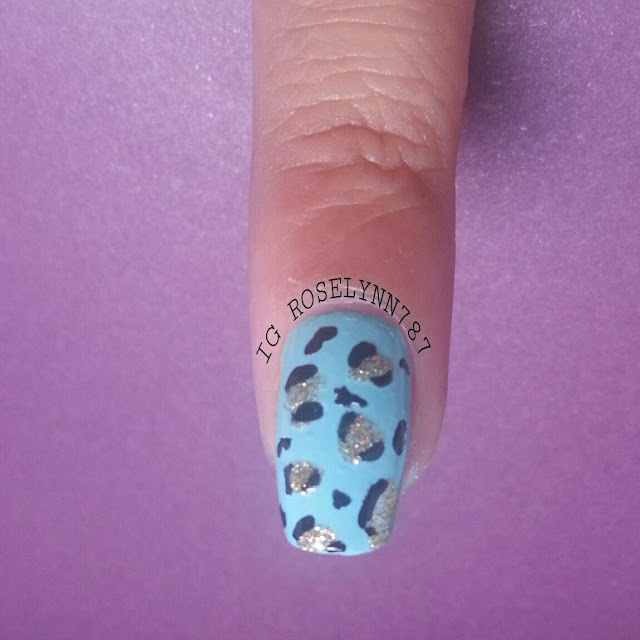 For today's tutorial, we have cheetah print with a glitter accent nail (because glitter makes everything better). Feel free to repost the image above, proper credit must be given of course. First step, of course, would be the picking of the polishes. 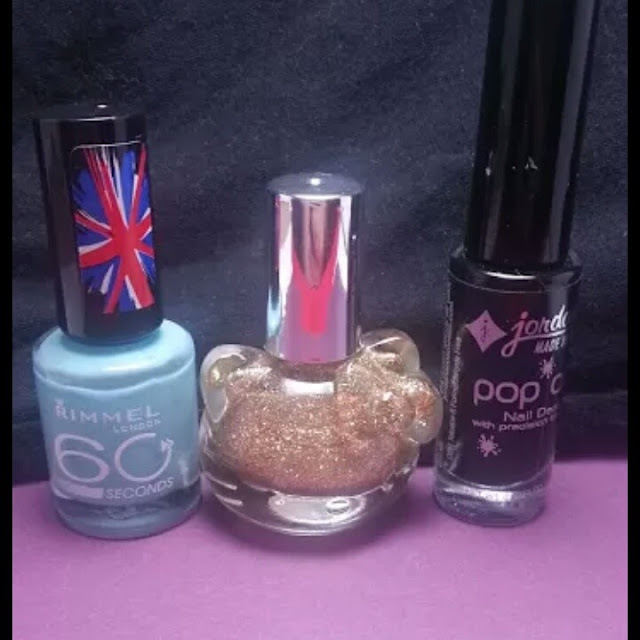 For this look, I used Rimmel London 'Mintilicious', Hello Kitty 'Gold Star', and Jordana PopArt Black. Like I mentioned earlier, this is the type of manicure that you can honestly grab any colors and they will work perfectly. 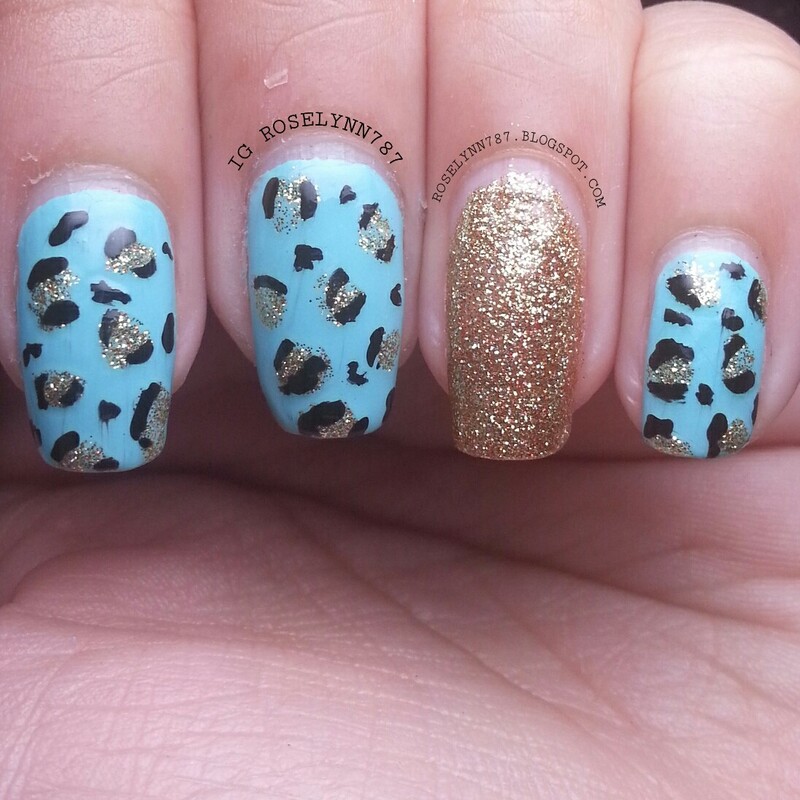 By adding glitter to an accent nail, you make the overall design have a 'pop' factor. But if you happen to not have a glitter polish around, that's okay! Grab any color different than the base you're using for the other nails. The more different, the more the 'pop' factor will shine through. 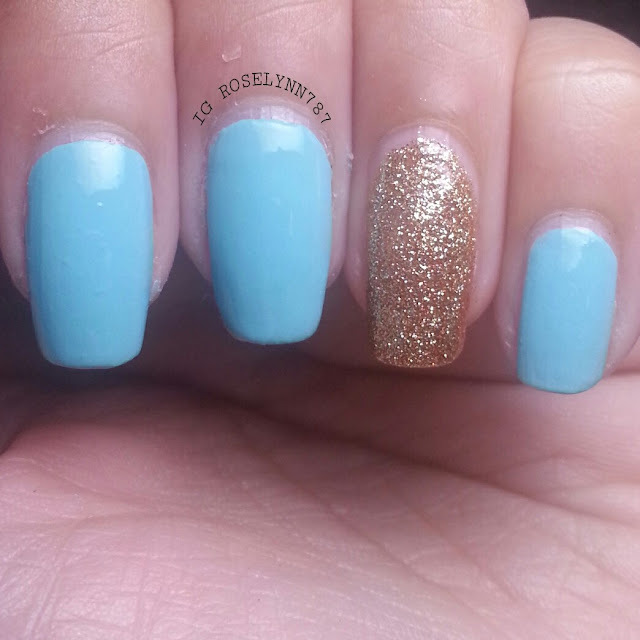 For example, if you're doing a teal for the other nails, then pick out a red for the accent nail. Now step 2 - Colors! You've chosen your colors, so now it's time to use them. First and foremost, put on the base coat of your choice (I use Nail Envy by OPI). Once the base coat is dry, go ahead and apply your selected colors. As you can see, I painted my ring finger a gold glitter color. 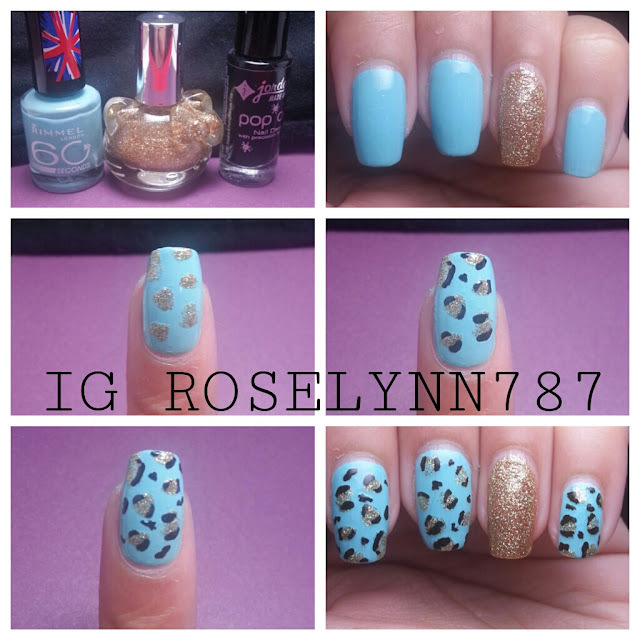 For this quick tutorial, I'm not going to do anything further with the accent nail. I'll discuss different options at the end of the tutorial. It's important now to wait for all your nails to thoroughly dry before proceeding to the next step! Otherwise, you will smudge and have to possibly start all over. Step 3 Spots, Spots, Spots. Using the color of your accent nail, you're going to create spots on your nails. If you have a dotting tool, free feel to use that. 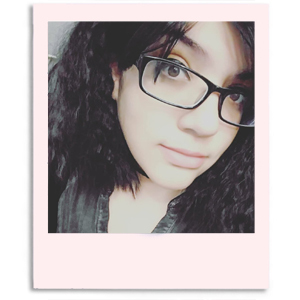 I did not use a dotting tool, however, so if you don't have one then you can do what I did. Make sure your brush isn't carrying too much polish and using a circular motion create spots all over your nail. You don't want them too big or too small and don't worry about them not being perfect circles. Be sure to have enough spacing between them as well. Step 4 The Striper! I used to hate using a striper, but after some practice, I have been getting the hang of it. Now I do recommend getting yourself a striper if you don't already have one, but it's not needed for this manicure. If you have a small dotting tool, that works as long as you're careful. Don't have a striper or a dotting tool? Find yourself a toothpick! Dip your toothpick into some black nail polish and it will work just as well. Just be cautious as you do this next step, pressing too hard with the toothpick will ruin what you have accomplished so far. Using your tool of choice, you're going to create 'C's around the spots you created in the previous step. Now you aren't going to go completely around the spot, but instead just a 'C' on either side. On some of the spots, you can just do a single 'C' to add variation. After you have added the 'C's around your spots, you'll find you have a lot of empty space. This is where you take your tool of choice and make smaller black spots in between the spaces. You don't want them to be circular, but instead make them distorted shapes. As you can see this adds a really nice filler for all the empty space and helps make your design stand out. Don't put too many, however, you don't want your nail to appear too cluttered. And that's it! Do the same thing to the remaining nails and you should end up with a cute chic nail design. A very important tip: after finishing your design, make sure you let your nails completely dry before adding a topcoat. If you apply a topcoat while your nails are even slightly wet, you will smudge the design. Actually if you take a closer look at mine, you can see the smudges! Like I mentioned before, I left my accent nail as a plain glitter nail but you guys can totally add more to it. If you have some rhinestones or studs, you can add some in a straight line going down. 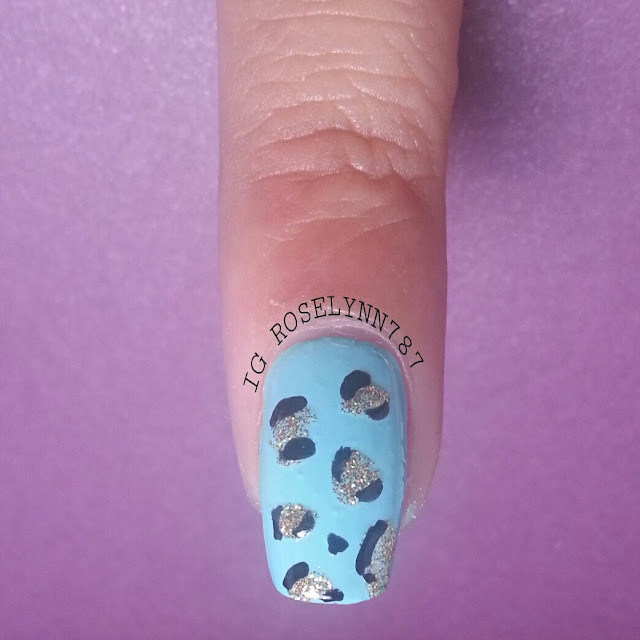 You can actually do prints on that nail as well using the base color for your other nails as the spots. If you do spots, perhaps of doing them all around, do them in a half moon kind of idea. The possibilities are endless! Let me know if my tutorial has helped you and share your recreations with me.